4 Amazing Fall Festivals in Washington, D.C. - American Executive Sedan Service, Inc.
24 Aug 4 Amazing Fall Festivals in Washington, D.C.
Fall is right around the corner, which means cool, comfortable temperatures, foliage changing colors and, of course, many wonderful fall festivals in Washington, D.C.
Long for the days of yore when kings, queens and knights entertained themselves with medieval jousts, folk music and more? If so, you’re sure to enjoy a trip to the Maryland Renaissance Festival, which kicks off Aug. 27 and runs on weekends until Oct. 23. The Maryland Renaissance Festival brings the Renaissance to life like never before and is conveniently located just minutes outside of D.C. It even features live music, Shakespearean performances and jousts that will keep you entertained for hours. Now in its 40th year, the Maryland Renaissance Festival has remained a popular fall festival for kids and adults alike. And if you check out this year’s festival, you may begin a new tradition that you and your friends can celebrate for years to come. Seafood lovers rejoice! The Maryland Seafood Festival will take place Sept. 10 and 11 and enables you to try a broad assortment of delectable seafood. Since 1966, seafood lovers have flocked to Sandy Point State Park to enjoy the late summer weather and some of the area’s best seafood dishes during this top-notch fall festival. On top of that, the Maryland Seafood Festival features the annual Capital Crab Soup Cook-Off, Xpogo pogo stick demonstrations, a sand soccer tournament, arts and crafts, and more to deliver an unforgettable fall festival experience. Enjoy a traditional Oktoberfest celebration without having to make the trek to Germany at the District Oktoberfest on Sept. 17 and 18. The District Oktoberfest gives you the chance to sample six local Oktoberfest brews at six distinct Chinatown venues as part of an awe-inspiring celebration. Plus, this festival features plenty of live entertainment, and all proceeds from the event benefit the D.C. Firefighters Burn Foundation and Dreams for Kids DC. As D.C.’s best neighborhood festival, the H Street Festival gives you the chance to see what H Street NE is all about and serves as a fun, exciting event for guests of all ages. This year’s H Street Festival will take place Sept. 17 and promises to be the biggest celebration to date. The festival will allow you to connect with the community and features live entertainment, local eats, and many fun-filled activities. And as a result, this year’s event serves as a top choice among D.C. fall festivals. Travel to a D.C. fall festival in comfort, style, and safety. 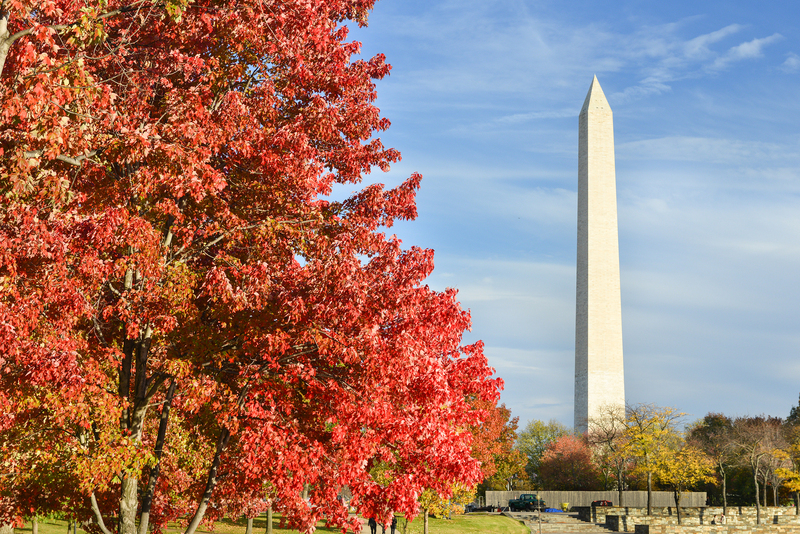 Ready to explore any of the aforementioned D.C. fall festivals? Although you should have no trouble enjoying yourself at a fall festival, it is important to understand that traffic and parking sometimes can be problematic if you decide to drive to any of these events. For instance, on the date of a festival, it’s likely many people will drive to the event. And if there is limited parking available, you may be forced to park far away from the event or pay a steep price for parking nearby. Also, as large groups of fall festival attendees depart, it may take you hours before you’re able to get out of a parking lot. This means you could be stuck in a long line of traffic and late getting home at the end of the night. But what if you could take the guesswork out of ground transportation to a fall festival, and ultimately, reap the benefits of comfortable, stylish and safe travel accommodations to and from your event? Now you can, thanks to the travel professionals at American Executive Sedan. For years, American Executive has served as D.C.’s premier chauffeured car service provider, and we consistently go above and beyond the call of duty to guarantee you can reach your final destination quickly and effortlessly. When it comes to fall festivals in the nation’s capital, we’re prepared to get you wherever you’d like to go and in a sleek, elegant vehicle, too.